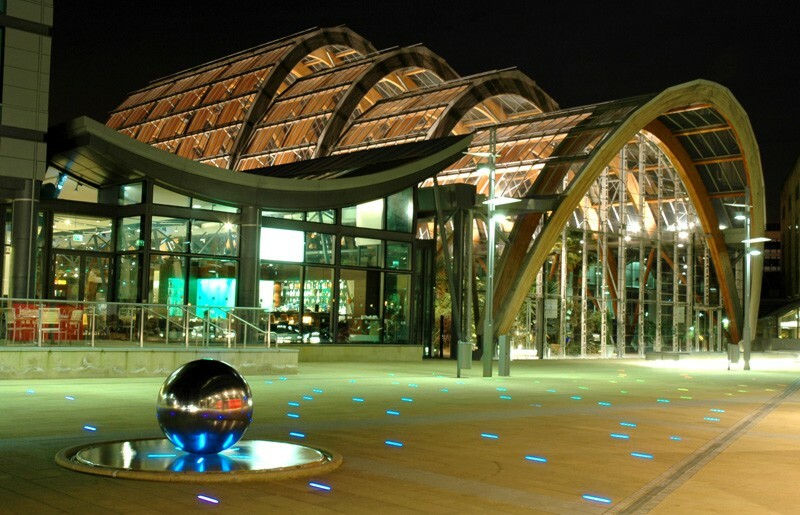 Part of the external lecture series included tonights lecture by John Chilton on Innovative timber structures. Timber structures have had many improvements in the last 30 years and they are becoming more and more impressive with each development. One of the most significant developments has been Glulam beams which have allowed the construction of some appealing structures such as the Sheffield Winter Garden. 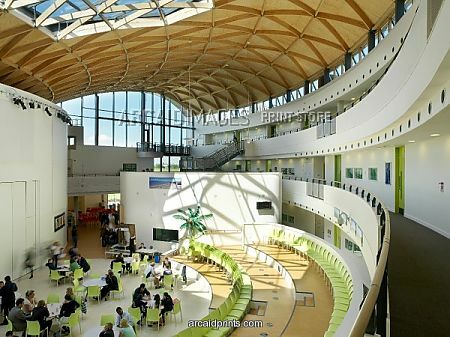 Marlowe Academy, Ramsgate, UK gives a good example of a lamella roof structure with a 28m span enclosing the central space below. Lamella structures are built from laminated veneer lumbar and the main benefit is that it can be transported in small sections and can provide very large spans. Lamella has been seen as a uninteresting material in the past but it has many features to be desired. Hounslow East tube station decided to adopt the Lamella roof structure because it provided a high quality, economic and uncluttered structure. The small transportable members mean that they can be repeated easily in a offsite factory and it provided a aesthetically pleasing grill that preforms well acoustically in the station. Finally the most impressive structure shown by John tonight was the Savill Building Great Windsor Park. 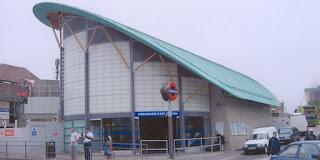 This building consists of a gridshell roof composing of Larch and clad with green oak from the crown estate. I thought the Savill Building Great Windsor Park shown in this blog looked familiar. Go onto Nottingham Trent website, Architecture Design and Built Environment, Watch out School DVD, go to Inaugural Lectures and select: John Chilton's Inaugural Lecture - Heinz Isler's Infinate Spectrum: Form-Finding in Structural Design. Google Glenn Howell Architects and/or Savill Building.